There is nothing better than owning your own airplane! 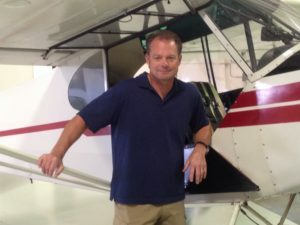 Buying a top quality aircraft is the key to getting there and I can help you achieve that. For the personal flyer or corporate flyer. The virtues of a turboprop when compared to a jet have always been simplicity, short field performance, less regulation and greater fuel efficiency. When it comes to selling your plane, we will be realistic with you and will work to get top dollar for your airplane. We will make sure the buyers know the value of your plane. There is nothing better than owning your own airplane! 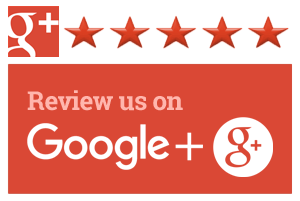 Buying a top quality online essay proofreading aircraft is the key to getting there and I can help you achieve that. Aircraft Broker and Parts Distributor Servicing all your Private Aviation Needs. If you are looking at this website then you have an interest in Aviation like we do. Hitchcock Aviation is about brokering aircraft and selling aircraft parts. When done right, this is an exciting business to be in. We are committed to ensuring that our customer’s buying and selling needs are met. We do this by being upfront and honest. Own a Bushplane with Quality Aircraft Parts! Founded in 1955. Manufacturers of the finest Aircraft skis, Heavy Duty Nose Forks, and Cargo Pods in the aviation industry. Airglas is no stranger to the outback aviation adventurer. Maker of the finest fiberglas tail skis and an innovative new Cub suspension system, AOSS. If you are ready to fly in the snow in Alaska you will want to check this product out. 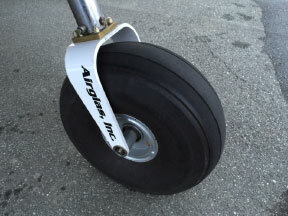 Makers of industry standard big tires for light airplane. If you are looking for quality bush wheels to land in Idaho’s backcountry airstrips, look no further. This is the recently approved- highest quality cargo pod we have to offer. The cargo compartment can hold up to 175 pounds, while the pod itself weighs only 21.5 pounds! It's larger, has higher storage capacity, and is lighter than the standard LC18 cargo pod. You can count on Hitchcock aviation for honesty, trust, and good service. We focus on your needs in the aviation business. When you have made the decision to buy or sell a plane, have a question about a component, or just want to talk about Backcountry flying, then please give us a call. I come from a family who used Aviation as means for transportation in business and personal travel. The flying history of my family started with my grandparents and was followed by my parents, uncles, aunts and cousins. With all those pilots in my family I guess I was destined to become a pilot. I have over 30 years of flying experience which includes 20 years of military flying (F-4s & A-10s), 12 years of corporate flying (King-Airs, Cheyennes, Barons, Bonanzas, & Cessnas), and now I fly commercially for an Air Cargo carrier in the US (757's, 767's & MD-11's). I’ve been involved in many areas of aviation. This equals experience and lots of good stories, all of which will helps me with this business. Give me a call and let me help you find or sell your airplane or get the Airglas product that will work for you. I look forward to hearing from you soon.